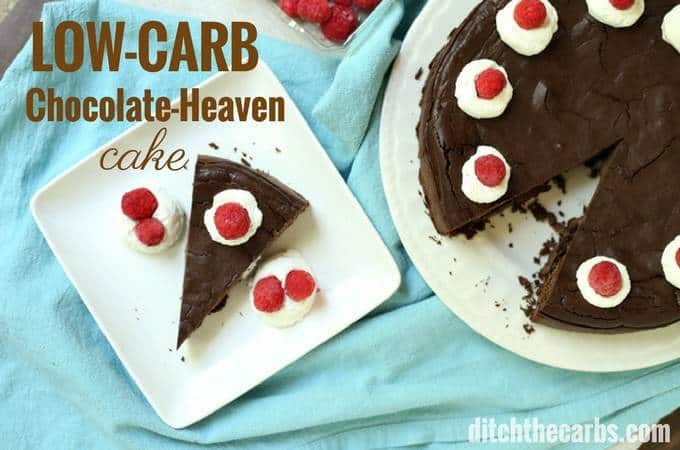 THE BEST Low-Carb Chocolate-Heaven Cake on the internet - amazing! 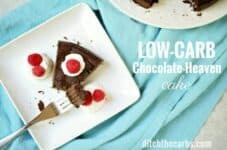 My low-carb chocolate-heaven cake is my absolute go-to cake. I use it for every birthday party and celebration for adults and children alike. 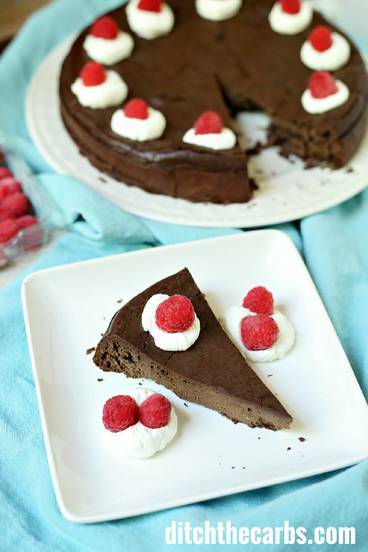 It is the perfect low carb, gluten free, grain free chocolate-heaven cake out there. Scroll down to see my new cooking video. 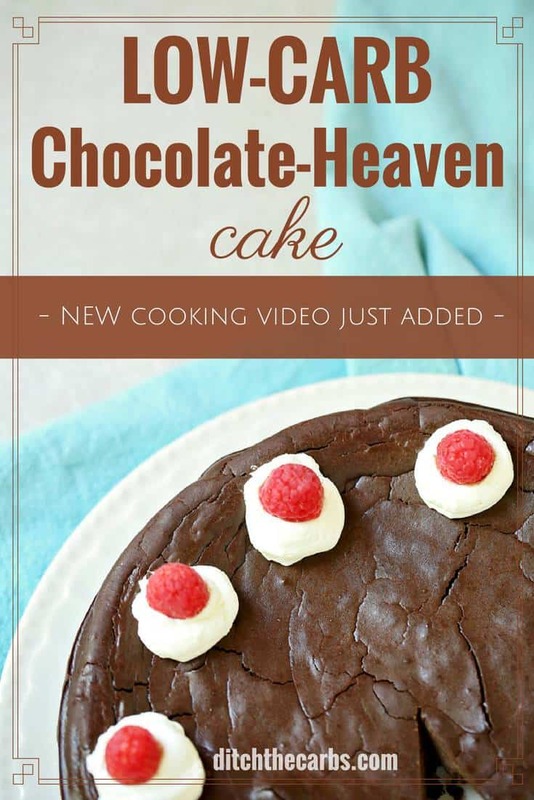 Low-carb chocolate-heaven cake is so easy to make and so rich, with the texture being more like a rich chocolate truffle or torte. This is now my go-to cake. If you are looking for a nut free, gluten free, grain free, wheat free cake that will please children and adults alike, this is it. There are even variations so you can make it as low carb as you like, read why below. Because my low-carb chocolate-heaven cake is wheat free, gluten free, grain free, no added sugar and nut free, I make it every time for my children’s birthday parties. And because it is so rich, the adults eat it too (with a good coffee). I love chocolate-heaven cake, you can even drizzle it with brandy whilst it is warm for an ‘adult only’ cake. It can be made as a cake then sliced, served with berries and whipped cream. Or bake in a square dish then cut into tasting squares and top each piece off with a fresh berry. This is an easy idea to take as finger food to share with friends. To make it even lower in carbs, use a higher % cacao chocolate, but others who are not sugar-free may find it bitter so that’s why I stick to the 75% which seems to please everyone. ALWAYS calculate using the brand and variety of chocolate you have used in the recipe. 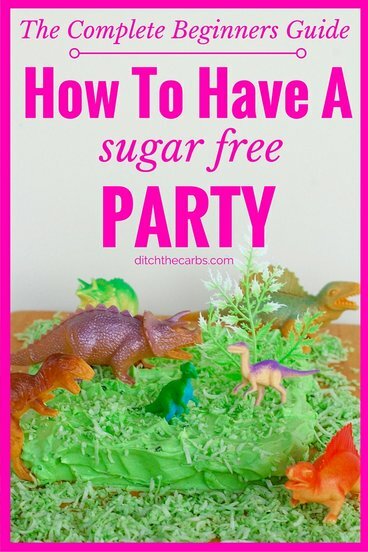 Want to know how to host a sugar-free (or sugarless) birthday party? Take a look at my article full of tips, tricks and recipes. If you’re after more low-carb cakes, check this out, it is my entire catalogue of sweet low-carb baking and desserts. 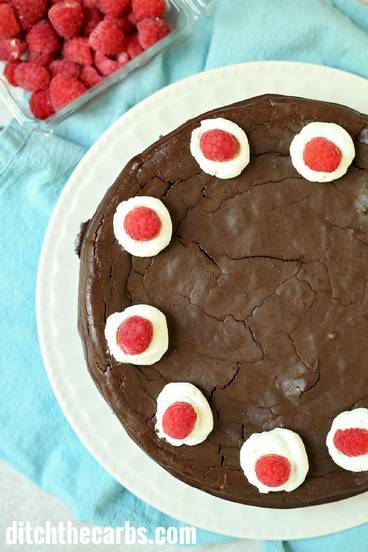 Low carb chocolate heaven cake is the go-to celebration and birthday cake. It is nut free, wheat free, gluten free, no added sugar and keeps children and adults happy. It can be cut into slices or little squares with a berry on top of each piece. 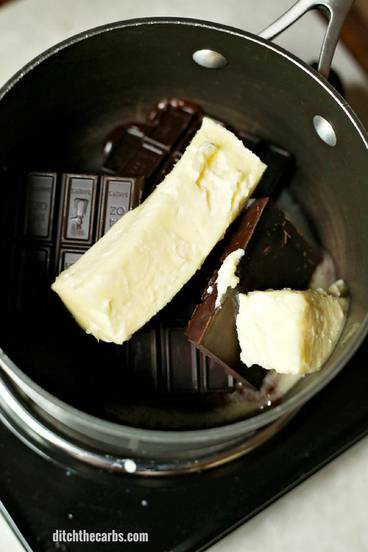 Melt the chocolate and butter together over a low heat in a saucepan. Remove from the heat and allow to cool slightly before adding the vanilla extract. In another bowl beat the eggs, cream and sweetener together for 3-4 minutes (use a stick blender or hand whisk). It will go frothy and remain runny. Slowly add the egg mixture to the chocolate mixture in the saucepan, stirring all the time. 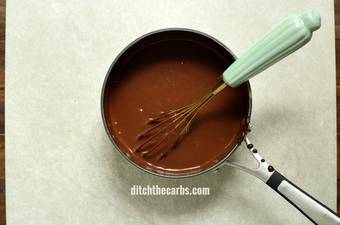 As you add more egg mixture, the chocolate and butter will thicken to the consistency of custard. Pour into a prepared tin (see below). Grease a loose bottom cake tin with butter then line the loose bottom with baking paper and push through the outer ring so the baking paper adds a seal and stops the cake mixture from leaking. Bake at 180C/ 350F for 20 - 30 minutes, or more depending on your oven. Bake until it is just set in the centre, do not overcook the cake. 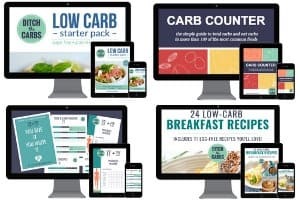 If you are new here you may wish to look at this page to help you get started and this page to see what I keep in my low carb pantry. I’m a bit of a challenged baker so please bear with me – can someone please tell me how long I’d need to bake it (and whether I’d need to make half the amount) if I wanted to bake this in six little 5cm (H) x 10cm (Dia.) springform pans? (https://www.kmart.co.nz/product/mini-springform-non-stick-cake-pan/192351). Also what NZ sweetener would be best? Thank you! Hi Yulia, those mini tins are tiny so I would estimate to cook them for 15 minutes then push a toothpick/skewer into the centre to see if it comes out clean (no unbaked mixture). Don’t over bake otherwise it will be dry and not soft and delicate. Good luck, this is my favourite cake by far! Just delicious!!! A true keeper. Hi there. Are the oven temperatures for a assisted oven? Or a conventional oven? Thank you. I made this exactly as written using granulated swerve for sweetener and valrhona 85% chocolate (from trader joes) . Absolutely delicious! I love that this isn’t too sweet. I ate it with fresh whipped cream with a tiny touch of swerve. I would never have guessed this is sugar free. Fortunately i had company to help eat this cake or i would have eaten way too much. Just made this at our first attempt, it really is very nice but I will keep it be getting through all of it anyt time soon! how is best to store it please – in the fridge or a tin? Yum! I’ve made this many times. Today I made 1/3 of the recipe and shared it with my husband. I used 90% Lindt and didn’t bake it- just served as warm custard. Delicious and such a fat boost – like a fat bomb only better. Worked out to be 10g carb, 81g fat and 16g protein. Libby; The recipe category says that the cake is sugar free and yet the nutrition label says there are 5.2 grams of sugar. Why the discrepancy. I definitely plan on trying the cake! I trialled this yesterday before I bake it for my friend’s birthday this weekend. I used pure cream… should I instead use Lewis Road double cream? That’s the only double cream I know of in NZ? I halved the recipe, put it in a 6 ” pan and cooked it in my Instant pot for 35 minutes. It’s resting in the fridge. I wonder if I use my home made chocolat (I use xylitol or erythritol as sweetener) going well instead the other chocolat? You could try, but that would be another recipe entirely and I couldn’t vouch for the success of the resulting cake. Let me know how you get on (and the recipe for your home made chocolate – yum). Well I did it and the result was 👌, was a little greasy (I think because was too much fat from my chocolat and the butter) but the taste was really good. One of my kids is really picky and I didn’t tell him what I used and he ate it. Brilliant – thank you for letting me know how it worked out. I’d call this a success! Lilly brand has Stevia sweetened chocolate. This might work well for you. It taste really good and they have it in various types other than white of course. Would it be possible to swap the vanilla for peppermint oil? Would it work and if so how much would you recommend that I put it? I like the idea of a chocolate mint heaven cake! That sound amazing. Alternatively you may wish to drizzle over the top of the baked cake with a peppermint ganache, add some peppermint flavouring to your regular low-carb ganache and boom! Heaven! I replaced the 2tsp of vanilla with 1tsp of peppermint oil and it works! It was so good that I don’t wanted to share it with my students now, I want it all to myself! First you get the chocolate taste and then bam the peppermint hits you! So delicious!! Wow, I am so trying this next time. Thank you. And what lucky students you have. Gawd!! What a disaster. Followed the recipe to the t, did the pan as instructed etc. In the oven, the cake sides rose higher than the tin whilst the centre remained flat (like a volcano caldera). That’s how it stayed until the timer went off. The middle was still a bit runny so I gave it a bit more time. Took it out of the oven and within five minutes it all collapsed. What I have is a semi crispy, scrunched down sided, soggy on the inside mess. Why is it so ‘oily’ on top? I followed the measurements exactly and it’s definitely cooked but looked bubbly white when I took it out of the oven and when you touch it it’s very oily? Hi Libby! Thanks for this awesome cake recipe! It’s my go-to decadent cake recipe! wondering if you’ve had any taste issues if you’ve tried it? You can try, I just looooooove the creamy taste of butter. Butter also adds a flavour that coconut oil perhaps would not. You may need to add more flavourings and a pinch of salt to make up for the swap. Did you try this with coconut oil instead of butter? How did it work out? We tried this cake, and maybe we did something wrong because it was way to bitter. Did you adjust the sweetener to your taste as per recipe? I always recommend to taste before baking to ensure successful baking. You can always serve it with sweetened whipped cream and berries. 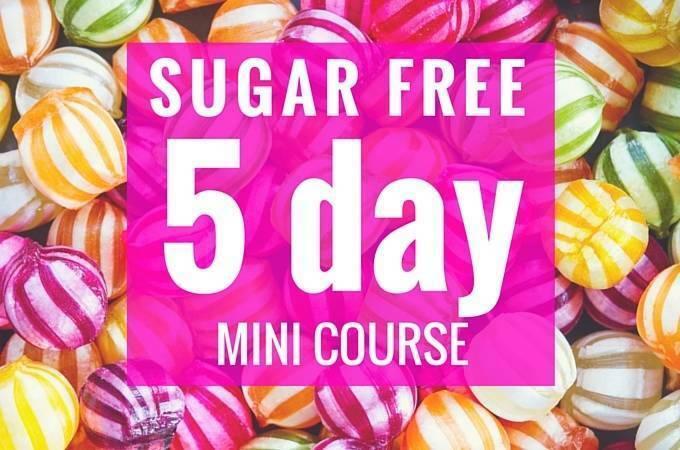 As time goes on, and you are sugar free for longer, your sweet tooth will diminish and you may require less sweetener, but for now, perhaps you need a little more (also a good excuse to try the batter whilst cooking). Oh my word I cannot praise this recipe enough! It is just the perfect chocolate hit and will be used for all celebrations from now on! It’s wonderfully soft and gooey when it’s warm, but equally delicious cold – a bit like a super posh french chocolate torte, fairly firm but with the same excellent taste. Well done Libby, another winner! 5 stars from me and mine! My turn to bring a snack to Coffeebreak was the perfect excuse to try a new recipe. I’m so glad I tried this one. I used 90%, added 1 T Swerve, and then a couple packets of stevia to taste (and make it a bit sweeter). The whole group enjoyed it. still good, just, different. Maybe I will just microwave leftovers next time around. This is now my go-to chocolate dessert! So now, I have to ask. Does this cake need to be refrigerated after serving? This cake looks awesome ! Just wondering how many Lindt chocolate bars are needed to equal the 300 grams ? Thanks ! The Lindt bars here are 100g size. This looks amazing. I’m too scared to use a loose base pan because of an experience where it leaked. Do you think I could instead pour the mixture into mini ramekins and serve it in the ramekins? Yes this recipe would work in individual ramekins, alternatively, line the loose bottom pan with baking parchment and up the sides so there is zero chance of it leaking. Yo can even bake this in a rectangular baking dish too. Hi can you pls tell me how much of the recipe you’d make for mini springform pans and how long you’d cook it for? Thank you! Thank you!!! I – no – we, my no-keto sister and 3 year old niece and me – we loved it! It turned out perfect! Wish I could add a picture. We topped it with a cream made of mascarpone, confectionary “sugar”, vanilla extract and raspberries. Will be my go-to-party cake from now on! Woop woop!!! 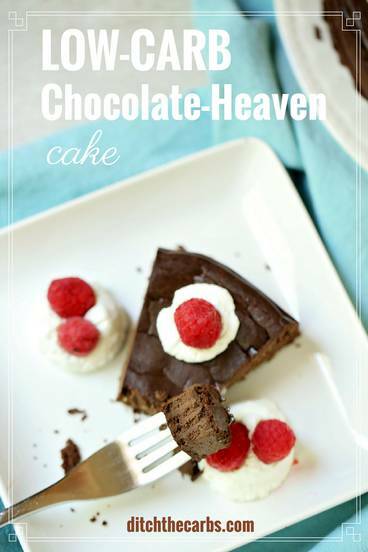 I am so happy everyone loved the chocolate heaven cake – how wonderful! This is one of our always-in-the-fridge desserts: we all love it and it’s so satisfying and delicious! Just a small block is enough to kill all the bad chocolate cravings. Your lemon cheesecake is another: I make it without the crust unless it’s for visitors, and it’s so quick and easy to make. Thank you for the work you’ve put in to make these recipes available for us, for free. Your site is one of my top low-carb sites and have referred many of my friends to it. I especially appreciate the metric measurements! Wow Jill, this is so incredibly lovely and kind comment to leave for me. I absolutely love what I do and absolutely love that people are finding it useful (and yummy). I’m glad those measurements are coming in handy, you don’t want to know how long that took to complete for over 200 recipes – yikes! Thank you for blogging about it. Very nice collection many recipe at one place, I loved it. It is for me too so I use Lindt 80% or above. I also have never found a good sugar free chocolate that has sweeteners that I like. Cocoa won’t work I’m afraid. Is it fine if I use cocoa instead of chocolate? hiya. I can get 100% chocolate in UK (don’t know where you are) -hotel chocolat 100% dark choc drops. There are others but these are superb – I eat them as a snack! Carbs 8.2 per 100g and sugar 0.3. Other brands are available…. This was very good. I used 100% bakers and 86 ghirardelli. Added a little more sweetener to offset the bitterness. I was wanting spice so I added cinnamon and cayenne. I baked a couple minutes more and the edges turned out nice. Hello! How much cinnamon and cayenne did you use? I baked this two or three times and it tastes just perfect. Thank you a lor for posting it. This was delicious! I made it tonight. I halved the recipe and baked it in buttered mini muffin tins for about 10 minutes! Topped them with a simple whipped cream (heavy cream and splash of vanilla). It was a delicious rich creamy cake! Thank you for the recipe. I made this for my Valentine’s day cake for friends and my work. Because I need to have a large number of portion, I made everything double. And I did, I always do, wrong how to put the cookie sheet on the pan. Because of that, butter was leaking in the oven. So when I realized this noise “shoo-bop”, I looked inside the oven and small fire lit and gone repeatedly. lol At first, I thought where is this water coming from? and why does it cause the fire!? dah… This is going to be another funny baking story for me. Other than that, I think it went well as following the recipe. It is still hot so can’t say but can it be too much butter? Or will it go away when it cool down? Am I supposed to cool it down in the fridge? I LUV FRUIT BUT STRAWBERRIES ARE EXTREMLY LOW IN CARBS. Use spends or stevia to sweeten and frozen strawberries are lower in carbs than fresh.Throw in some heavy cream with spends or stevia sweetener that’s zero carbs as well…. I’m a sweet tooth junkie so anything I can fix so I can have is a natural thing for me. This sounds like a lovely cake and it can be low carb and have a lower calorie count all in one recipe. There is difinatly controversy in what is better for you and how you can eat healthy and lose weight. I always CUT the recipe in have so I can play with it first. By adding ALL NATURAL WITH NO HIDDEN SUGAR OR PRESERVITIES. By using real things instead of pre-made your body can learn to burn the right thing instead of the wrong. I always replace ANY SUGAR with RAW STEVIA. It has the same equivalent s measurements and it is awesome and doesn’t leave a bitter taste in ur mouth. I’m getting ready to try ALMOND AND COCONUT FLOUR, which is rich in flavor but you can get more benefits, no sugar, and no white flour cutting calories AND CARBS! U can use honey or unsweetened applesauce but it is packed with carbs and the sugar count is high. So you’ve got ur flour, sugar, for your new cake, use that unsweetened cocoa some unsweetened vanilla almond milk. Throw in ur leveling agents, maybe unsweetened Choco chips or unsweetened peanut butter chips, mane some unsweetened coconut or walnuts and grab some of great unsweetened vanilla powdered sugar….. you will have a great cake. Your cake just needs a little tweaking. It already sounds like a great tasting cake, and now you don’t have to feel guilty!!! RULE OF THUMB….. ANYTHING ENDING IN “OSE” IT CONTAINS SUGAR! OR MAYBE “GLUTEN” STAY AWAY!! Heavy whipping cream has 0.4 carbs per tablespoon and is absolutely low carb/keto. Sucralose is the artificial sweetener in Splenda, it is not sugar. Splenda contains MALTODEXTRIN and DEXTROSE which are straight up sugar, making Splenda 2/3 sugar. Liquid sucralose doesn’t contain the added bulking sugars and is low carb, granular or baking Splenda is not. The carbs will change based on your ingredients. This recipe makes 15 servings and carbs will be less if erythritol and unsweetened cocoa powder are used and more if you use the Splenda you recommend. Subtract the fiber and the erythritol and its a great occasional low carb snack. Keto on! 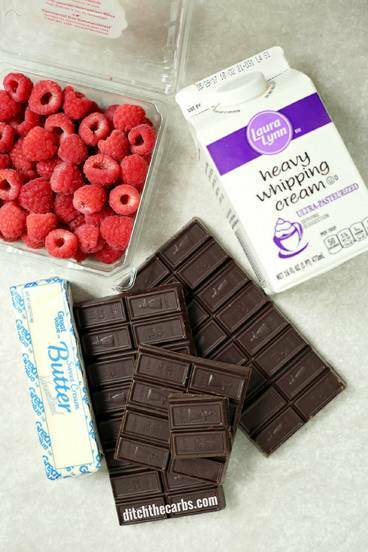 Proper double/heavy cream has more than 45% fat (yum) and about 2.5% sugars. That’s pretty low carb, but not no carb. The chocolate does have carbs in it, so the higher the cocoa solids content the better. Then you can add whatever sweetener you want. The low carb bit also partly comes from not being able to eat much of it because it is so high in protein and fats! And the extra double cream and red fruits for more low carb benefit. I’ve just made this using 100% chocolate. The brand I used is Baker’s 100% unsweetened. I used Pyure stevia sweetener. I know I used more sweetener than called for in the recipe, but I just added to taste. Also, used a pie pan lined w/parchment. Baked at 350 for 18 min and the skewer came out clean. I’m waiting for it to cool before I take it out of the pan. I just made this cake in a trial run for a Christmas party. Our oven is very temperamental and tends to burn the outside of things before their fully cooked, so like with all your baking recipes I reduced the oven temperature from 180 to 160 and covered the cake with foil after a short time to keep it from burning. So far I have had pretty good success using this method with your baking recipes. With this one though the edges burnt a fair bit before the centre seemed properly cooked. I used a square baking dish which I have never used before for a cake but it is pretty much the same as the one you linked above, so wanted to give it a go and get those nice square slices you have in your picture. Wow, your oven does sound temperamental. I think you did the right thing to reduce the temperature but it may need to have been reduced further. It needs to be baked until ‘just cooked’ in the centre. It will continue to cook a little once you bring it out from there oven, and it’s still in it’s warm baking tin. As long as it is not liquid and a knife comes out clean, it should be cooked. I’m wondering if it was cooked a little too long also. You’re doing well to serve it with a chocolate ganache an maybe even some whipped cream and a few berries? I want to try this in preparation for Christmas but am looking to make a smaller quantity. The quantities given all look as though they should be easy enough to adjust (thinking of a third) and was thinking of cooking in individual silicone bun cases. Do you think this would work and how long do you think I should cook them for? Yes I think that would work. Everyones oven will vary and how deep and wide the dishes are will affect the cooking time. If I did have to guess, I would say 10-15 minutes? But please check as they bake, and until the centre is cooked (you might just have to eat one to be sure 😉 ). What sized tin do you use? I have two sizes of springform pans. Thanks so much for the great recipe! So just thinking out loud here, have you ever considered using unsweetened Bakers Chocolate instead of the 75% dark chocolate? It has a very high fat content with fewer carbohydrates. I know it depends on what brand of chocolate you buy, and that’s not shown here so I’m just going to go with what I found on the internet, but from my research, the carbohydrate load in (75 – 85%) Dark Chocolate is between 138g Carbohydrate / 33g Fiber, making it a total of 105g Net Carbs in this recipe (give or take because I don’t know what brand was used) so that would actually bring the total net carbs per serving to roughly 10g again depending on the brand (you say 10.8 so I’m assuming you use a brand that has a bit more sugar). Bakers Chocolate by comparison contains 95g Carbohydrate / 55 g Fiber, making it a total of 40 Net Carbs if used for this recipe. That would break down to 2.7g of Net Carbs per serving. Something else to consider is the fact that (75 – 85%) Dark Chocolate contains roughly 72g of sugar where Unsweetened Bakers Chocolate contains 0 sugar. This might be significant for those folks who are trying to keep their sugar intake as low as possible. I don’t know if this is even a reasonable alternative. I looked at the nutrient levels of Unsweetened Bakers Chocolate and it surpasses Dark Chocolate in almost every comparable nutrient, but again, this depends on the brand used. Just thought I’d start a conversation and see if anyone else has thoughts on this. I would love to try this, unfortunately I am so restricted to ingredients down here in New Zealand. There is one bakers sugar free chocolate, and it is mega expensive. 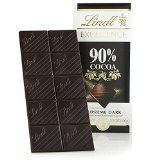 I also use Lindt 90%, but again it is expensive and comes in a very small bar. Hence me choosing the 70% for birthday parties. I find that seems to please all but one of the children (there is always one that won’t like any cake at any party) but your idea is great. One day I’ll get my hands on some sugar free chocolate and give it a whirl. I’ve only ever used unsweetened baking chocolate bar (brand is Bakers) in this recipe. I didn’t have any 70-85% cocoa bars so used what I had at home. I used 3 different sweeteners and it was delicious!! I used Swerve, Stevia powder (the super sweet white powder) & liquid stevia. I just did it to taste as I went. This cake has turned out delicious every time! Thanks for the recipe! is the carb count the net carbs? If not, what is the fiber count so that i can calculate it? It is total carbs, I’m pretty sure this has negligible fibre so the figure would also be net carbs too. It’s higher than most recipes here but it is reserved for birthdays and sugar loving kids. Just made this recipe and it’s delicious. I’m always on the look out for low carb healthy snacks for my Type 1 diabetic son and this cake is perfect. I made this into a layered slices of cake by cutting each piece in half and adding low carb homemade jam & whipped double cream to the middle – went down a treat 🙂 Thanks Libby. I can’t see a size given for the cake tin. Have I missed it? If not, please would you let me know which size to use. Thank you. It should bake to be a solid rich cake, almost a torte. It should be baked throughout before removing from the oven as it doesn’t ‘set’, the eggs have to be baked. I have made this time and time again and never had this problem, I’m wondering if it wasn’t baked for long enough or an ingredients was omitted? Hi Libby. Thanks for your reply. I tried it again today, used a rich chocolate, but not sure of the % cocoa in it and the cake sank after baking. I baked it a full 40mins and made sure of all the ingredients. I’m feeling kinda silly now, cos I’m not winning and everyone else who tried this was successful. No complaints about taste though. Thanks again for your input. Hi thank you so much for this recipie it was actually my first time ever making a cake and all my guests love it, I want to do it again but a smaller one should I just reduce the quantity? Thank you ! I buy good old Pam’s or Anchor. For some reason every single time I have bought cream from Countdown (their own brand) it has tasted ‘off’. Yes, I’ll amend that, thanks. Hi I’ve just made this and it’s in the oven so fingers crossed. But I used cavalier 85% dark chocolate that largely has stevia in it. I added a couple of teaspoons of xylitol just in case but am worried now that it might be too sweet! Has anyone else tried this and if not does the 95% chocolate not contain any sweeteners at all? I’ll let you know how it turns out! I only have a 10″ Springform pan – would this work? How would you adjust timing? If not, what other pan type would work? Does it have to be springform? The cake would just turn out wider and thinner so you would have to reduce the cooking time by maybe 5-10 minutes. Bake until the centre is just cooked, and a knife inserted will come out clean. I just like a springform tin lined with baking parchment as it comes out perfectly every time. I would hate for it to break up as you turn it upside down. Hi Libby – this looks fab! I’m going to make it tomorrow for my son’s birthday. He has requested a chocolate banana cake – if I mash a banana into the mixture, will it affect the cake do you think? Thanks! I think the moisture in the banana may make the chocolate cake split. You may have better success frosting/icing it with a banana frosting. Alternatively you could use my flourless berry sponge and add a mashed banana and some cocoa. Libby, I read through all the comments and the recipe and didn’t find my answer…. What size springform pan did you use to make this delicious lookIng cake? I just went and measured mine and it is 20cm/8inch in diameter similar to this one. Thank you so much for this! Made it yesterday with 85%, put it in the fridge overnight and we just had some with sugar free strawberry jelly, berries and cream, it was bliss. I’ll definitely be making this again, I may try using coconut oil instead of butter next time. Made this yesterday and it is fantastic! And it came out right which is saying something since not all of my baking efforts turn out right 🙂 I did let the chocolate mixture cool about 10 minutes and then I added the egg mixture about 1/4 cup at a time and made sure it was fully mixed before adding anymore. Patience paid off! I tried some while it was still warm but it’s really amazing after it’s cooled in the fridge for a few hours, soooo rich and thick. I can handle giving up carbs if I can have some chocolate so now I’m all set. Plus I can make this for other folks and they’ll love it. So far I’ve had really good luck with your recipes — not all blogs have reliable recipes so I really appreciate yours. Thanks again! Aw thank you Rhonda. This is my absolute go-to cake for celebrations. It’s pretty darn rich isn’t it? I’m thinking the next time I make it I might even drizzle some brandy over the top (adult only cake of course 😉 ). You only need a small square. If you addressed this earlier, my apologies, but I could not read every single comment. My confusion is with Stevia. In fact, I’m always confused about Stevia in recipes. I have Stevia Extract, Stevia Powder, but am unclear about the “granulated” Stevia. Can you give me an example of granulated Stevia? Would Truvia be an example? I have that too. I find I constantly bypass recipes that don’t give me brand names to clearly identify which type of Stevia to use. The strength of sweetness varies enormously with Stevia. Thanks so much. Hi Patricia, take a look at this page which shows you what I keep in my pantry. I don’t give a brand because everyone has their favourite and the brands in the US are different to those here in NZ. I say granulated because that measures spoon for spoon instead of sugar, but always add according to YOUR taste and always taste before baking. I don’t like liquid as it is too easy to over or under dose because it is so concentrated. The granulated stevia generally has erythritol which gives a lovely sweet flavour. I don’t know if this will help or not, but when I use Truvia I simply half the amount of whatever Libby’s recipe calls for, as Truvia does not measure cup for cup. This has been successful for me so far! Libby, I’ve been so excited to make this, I’ve been planning it all week! I’m currently in week 4 of LCHF, am down 10lbs so decided a treat was in order. It is delicious and so easy to make. I used 200g of 75% and 100g of 85% and added no extra sweetener, it is very rich and a touch bitter but with a dollop of double cream is perfect. Next time (because there will definitely be a next time, even though we still have 3/4 left) I will probably use the 300g of 75% as recommended in the first place haha! Just to say a big thank you for all of your hard work on this site. I loved cooking before I changed my eating plan but was keeping it simple on LCHF to get the hang of it. Your ideas and down-to-earth personality have been a life-saver and inspired me to get in the kitchen again. Read through all the comments, could not find baking time though. Its sitting in the oven right now. Shall do a trial and error this time but would appreciate a reply. The cooking times are all at the beginning of the recipe, showing this is 40 minutes. I hope yours turned out well. It was stunning Libby ! Love your Blog and am going to follow it regularly. Thanks for the effort you put in to simplify Our Lives 🙂 . I guess what your describing is almost my recipe for keto brownie. Take a look. Would it be possible to use unsweetened bakers chocolate and more sweetener? There is now some controversy over Stevia -true Stevia from the leaves I think is best (I have trouble remembering exactly) or not sure what to use anymore. This is not low carb. Very disappointing. How is this not low carb? Eggs, butter and cream are the main ingredients and are all free of carbs. Dark chocolate and zero carb sweetener make it about as low carb as it gets. Yes, it is. You need to do some math. Go research how many carbs are in an egg, are in butter (zero) and heavy cream. Don’t post a stupid comment until you actually DO the research. And I made this recipe; it’s fabulous. Ensure you take it off the heat for a minute or two and make sure it never got to boiling point. Add the egg mixture spoon but spoon at the beginning whisking by hand constantly. Then ad d a little more each time and it does almost appear to split but as you add more egg mixture it magically thickens. 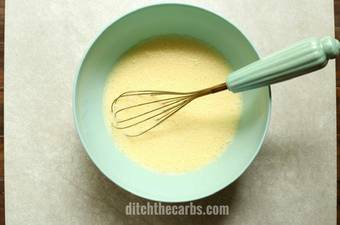 I use this type of whisk, nothing fancy and it works. Hi Jennifer, I tend to buy 90% Lindt which is my favourite. For my children’s parties I tend to use the 70% Cadbury Old Gold in this recipe as most children who are not sugar free won’t like the bitterness of a stronger bar. The % cacao refers to the % of cocoa solids in a product. Cocoa solids are all of the products from a cocoa bean, which are cocoa powder, cocoa butter, chocolate liquor and the cacao nib. The ratio of all these products vary with each brand which is why they may have the same % but in differing proportions of fat/solids/powder etc. So one bar may be smoother and more delicate than another. The higher the % the less room there is left for sugar and other nasties to be added to the bar. This cake is delicious. I didn’t have the 75% chocolate so I used a combination of bittersweet and unsweetened. I used the full 4 tsp of Stevia and followed all other directions. Refrigerating the cake after baking (and cooling) improves the taste. The texture is light and chocolaty. Being a diabetic as well as a chocoholic I am always looking for something “safe” to satisfy my sweet tooth. This fits the bill. I will make this again soon! I look forward to trying many of your amazing recipes. I also need to tell you that you are so gracious with all your answers and that you answer everyone. That is amazing! I was wondering if you had a non dairy substitute for the butter and the double cream? Of course I am trying to stay on the low carb way. Thank you Rivka, I try to be as courteous and polite as I can. I also try to be as uncontroversial as possible as differences in opinion tends to shift the focus away from us all just getting on with eating real food. What a lovely comment to write, I truly appreciate it. How long do you bake your chocolate heaven cake? Can’t see a time in the recipe & I really want to try it! The recipe states 40 minutes. It can sometimes be easily overlooked as it is at the top of the recipe box. “Pour into a prepared tin.” I think I missed the step for how to prepare the tin and what to use. Thanks! Hi! 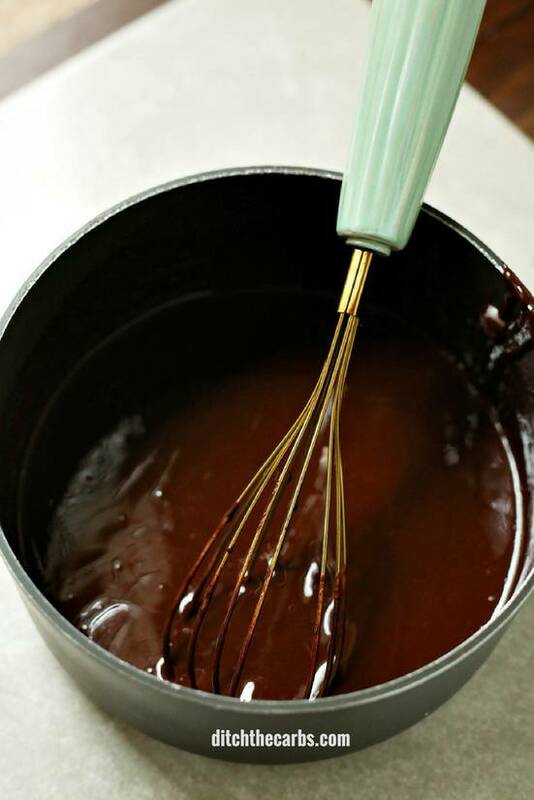 Can we use a brownie tin rather and just spray it or butter it before baking? Thank you I will have to let you know how it turns out. I just hate using chemicals. The honey worked fine. I didn’t have a spring pan so I used a 9″ disposable aluminum pan with a piece of parchment paper in the bottom. Because of the wrinkles on the sides it held the butter heavier so there was no sticking at all. Honey has high carb count in it so bit pointless making a low carb cake if ur adding more carbs? FYI, Stevia is an all natural sweetner, it is not man made, and is much better for diabetics than any thing else out there. It’s extracted from the leaves I believe of the stevia plant. Stevia is not an artificial sweetener. Very good recipe 🙂 I left it in the fridge a whole day beforr I brought it to a birthday party and it’s the first time I had people coming up to me and telling me “it’s awesome and a bit bitter, exactly as I like it”. Thank you for such a lovely comment, I’m so glad you liked it. I also love that high cacao taste (I may add more stevia if it is for the sugar lovers), it is now our go-to celebration cake. Sliced or in squares with a berry on top – yummo! If u use the cocoa powder will that make it a lower carb? I know that the carbs are coming from the chocolate bar. Wow! I am a baker but only 3 weeks into LCHF I thought I would never bake again but much to my delight I made this cake for my husbands birthday yesterday for dinner guests. I used 70% chocolate, made it exactly to the recipe and it was amazing. It looked exactly like the picture and we all enjoyed it with berries and cream. I felt like the queen of baking but it was so easy! Thanks for all your recipes, we’re enjoying LCHF so much whilst losing inches and feeling great. Wow Julie, what a testimonial for my recipes. You are a star! I am overjoyed that you loved the cake and it turned out so well. Thanks for stopping by and leaving such a lovely and kind comment. hi! i have whipping cream left over from another recipe. can i use it instead of the double cream? As long as it is the high fat cream, you should be fine. Depending on which country you are in, cream comes by many names and all have different properties. As long as it doesn’t have any additives to allow it to whip (some do) then it should work. That’s why I say to use the lower % chocolate when sharing with others who may not have gone sugar free. Our taste buds are so different depending on how long we have been sugar free, and how many sweet things we continue to eat. I always say “sweetener to taste”, so you may find the 85% too bitter ( I personally love 90% Lindt) or you may want to use the 85% to cut down on the carbs in the cake, but may have found by adding more stevia to the cake mixture would have made it palatable for you. Don’t be put off, sweetening recipes is the no.1 aspect we all need to learn according to the individual. Has anyone made this with high fat coconut milk instead of cream? Just a quick question, Is it ok to make this a day in advance or will I need to refrigerate. I always make this a day in advance. I keep it in an airtight container on the kitchen bench. Even if it is mid summer here (35C) it is still absolutely fine. If you iced it with a chocolate ganache however, I would only do this on the day and it would need refrigerating so the cream and chocolate don’t melt in summer. What would the sugar content be if you only used the chocolate without adding a sugar substitute? I am about to make this (tomorrow) for my husband’s birthday which is on Sunday. Can you pls reply on the following : (1) what size cake tin, is 8″ ok ? (2) how long in the oven ? (3) I would like to make this recipe without adding sugar or sugar substitutes (we like our chocolate dark and strong). To be sure this does not affect the texture / consistency of the batter, shld I vary the other ingredients at all ? Very best, Anne from Belgium. I’m thinking of using a regular 8″ cake tin and lining the bottom with parchment paper – do you think that has a chance of flipping out onto a plate neatly? Sure, as long as it is greased and lined well. If all else fails, cover with a chocolate ganache (solves many of lifes problems 😉 ). Can this be made with Skinnygirl liquid Stevia? It’s all I have at the moment. If so, would I use the same measurement? I don’t really care for it and don’t want the cake to taste like chemicals! I have Baker’s 100% cacao unsweetend baking chocolate-will that work, and should I add extra sweetener to make it sweet enough? Thanks! Yes that should work and yes you may need to add more sweetener so taste before baking to make sure it is sweet enough. Thank you for this recipe 🙂 Just wondering how many slices you would cut the cake into – my guess is 10 or 12. Also, if the carb count of 12.1 is for the whole cake or per serving? The recipe states it makes 15 slices so the nutrition is per slice. If the carbs are too high, you can cut them into squares as a taster or you can use a higher % cacao chocolate to reduce the sugar. I use the 70% as it will pass as a ‘regular’ cake at my children birthday parties, and in comparison the carbs are low, but I realise it might be too high for some. Is there a way to use just plain cocoa? (I don’t have any chocolate bars, and would like a bit lower sugar count). It looks so yummy! You could try but then it would be a completely different recipe. You would have to experiment replacing the 300g with something else of the same volume. You can use 85% or 90% cacao chocolate which will reduce the sugar, depending on your tastes. I tend to use 75% as that will pas most children’s birthday parties without a fuss. I’m making brownies very similar to this, just less of the ingredients and all butter without cream. If people want the very low carb count; talking pretty much none, there is a sugar free chocolate in milk white or dark with little to no carbs at all! I find them in grape tree or Holland and Barrett but they will be in american health shops two. The brand is ‘the lite’. Or there is another brand perledge that does other great flavours. Hope this helps! Thanks Daisy, great tips. I wish we could get that sugar free chocolate here. Keep letting us know what you find and in which country. This is fabulous. is this made with cream cheese? it looks like a cheescake when done. what is double cream then if it’s not cream cheese? thanks! No cream cheese used here, I use double cream which I guess is the same as your heavy cream or whipping cream. 40 minutes, or until the centre is cooked. Most Americans tell me they use electric scales to weigh their ingredients. I asked on Facebook a few times and the outstanding majority (including Americans) want to keep it as metric of accuracy. I used to use cups but there are US and Uk cups so very inaccurate. Take a look at my cooking conversion charts. Hope that helps. I agree, it’s a much better way to measure for baking. I hate everything in cups…. Where as I am the opposite, I would much rather metric as I am from New Zealand lol! But google is my best friend 😉 Any recipes in American measurements I just put into google and it converts it all for me easily. So glad you enjoyed it. yes I’m sure you could freeze it, what a great idea. You could freeze it in slices or small squares. Hiya, what size tin do you use for this cake? How do I convert the 300g dark chocolate and 175g butter? Would I bake at 350 Fahrenheit? Thanks in advance! I’m assuming the tsp and tbs are regular US measurements? I’m guessing you measure in imperial ounces. Most people use electric scales and switch to metric or take a look at my cooking conversion chart. I used liquid vanilla flavoured stevia in place of the vanilla extract and the granulated stevia. I’m not a cook so how did you turn it out to look so nice? Mine was a mess! And thank you, btw, for this recipe. I can’t do fake sugars and am sugar free and low carb…this was awesome! I couldn’t find “double cream” and used heavy cream and it still tasted amazing! Did you line the tin with baking paper and use a loose bottom tin? Double cream and heavy cream are pretty much the same. I’m so glad it tasted nice. If it can’t be removed from the baking dish easily, slice it into squares and remove each piece and serve as individual pieces. Wow ! Thanks Libby for this recipe. I am not a pudding person however having been asked to a girls lunch today I looked for an impressive one to take. I have been sugar free and low carb for a few months now and had to resist the urge to fall face first in to the mixture – my kitchen smelled heavenly ! I have just cut it open to transfer it into Tupperware and naturally had to test a sliver…..inspite of just having eaten breakfast. As recommended , I made myself a little Espresso. Amazing! Have to try this! Thanks Linda. I hope you enjoy it. Hi can I only use unsalted butter? No salted is fine, in fact it might bring out the chocolate flavour.